“Oh, it’s so small,” a sentence that has been undoubtedly uttered several times in the spot where I stood. Where was I, to whom was I talking and did it make things awkward between us? 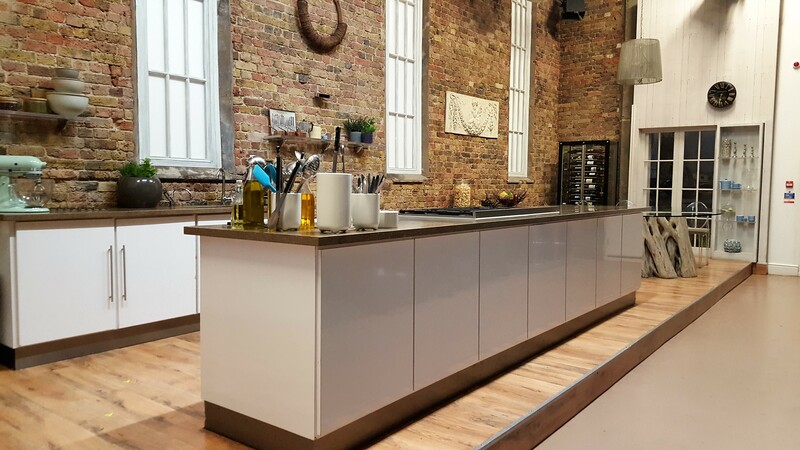 TV studios always appear smaller in real life than on screen, and the Saturday Kitchen set is no exception, explained my guide. It didn’t take long for her to show me around the set, sharing a few secrets about clever lighting and camera angles en route. As fun as it was, this North Londoner didn’t venture to the opposite side of the city for a whistle-stop tour of a TV set on a Wednesday evening, not when the journey home is over an hour long. I may be gluttonous on occasion, but I’m not into that kind of punishment. 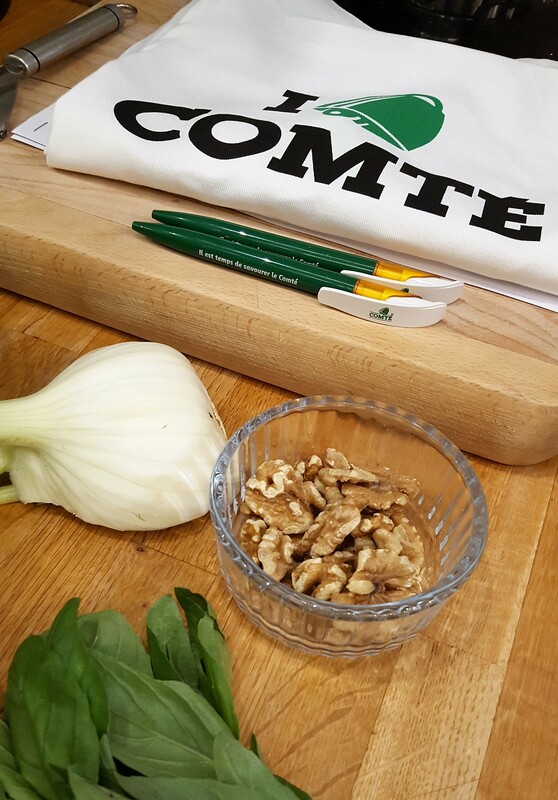 But it’d be rude to turn down an invitation to a #BetterWithComté cookery class, devised to demonstrate how this popular cheese from the Jura Massif region in eastern France can be used in a myriad of sweet and savoury dishes. It caught my attention for a few reasons: copious amounts of one of your favourite cheeses is never a bad thing; I’m on a quest to flex my culinary muscles, so this was a way of easing myself in; I’d be cooking at the award-winning Michel Roux Jr Cookery School; and having a chef around to advise me should surely speed up my progress. 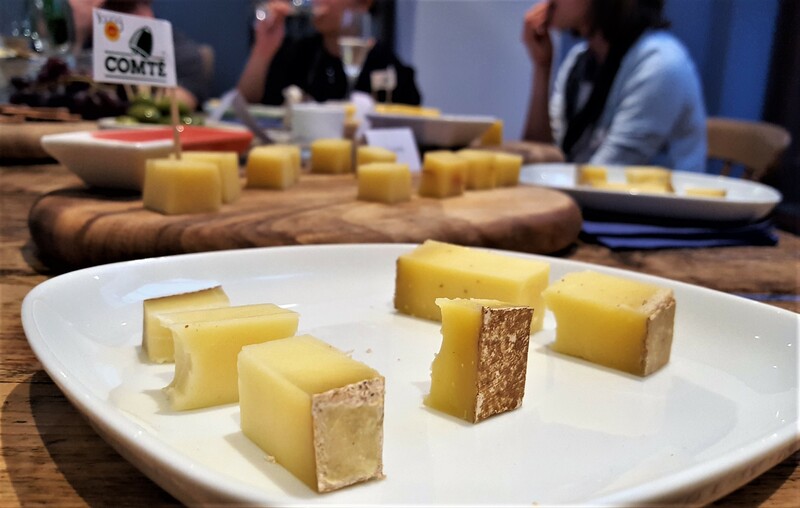 Before we were let loose at our stations, Sandra from governing body CIGC (Le Comité Interprofessionnel de Gestion du Comté) outlined the Comté-making process, which I recalled from our #WonderfulJura wine and cheese tasting evening last year. Random fact: each Montbéliarde and Simmental cow has two acres of pastures to roam. 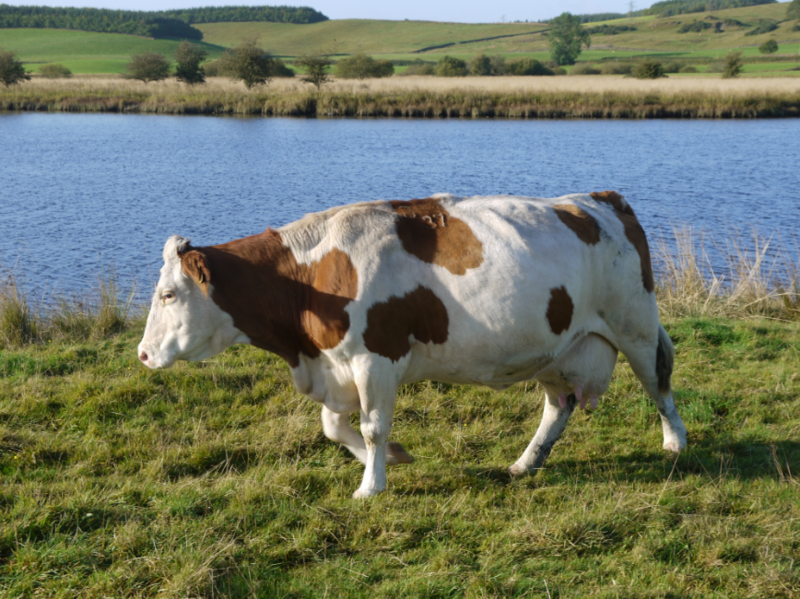 Forget dogs; it’s a French cow’s life. 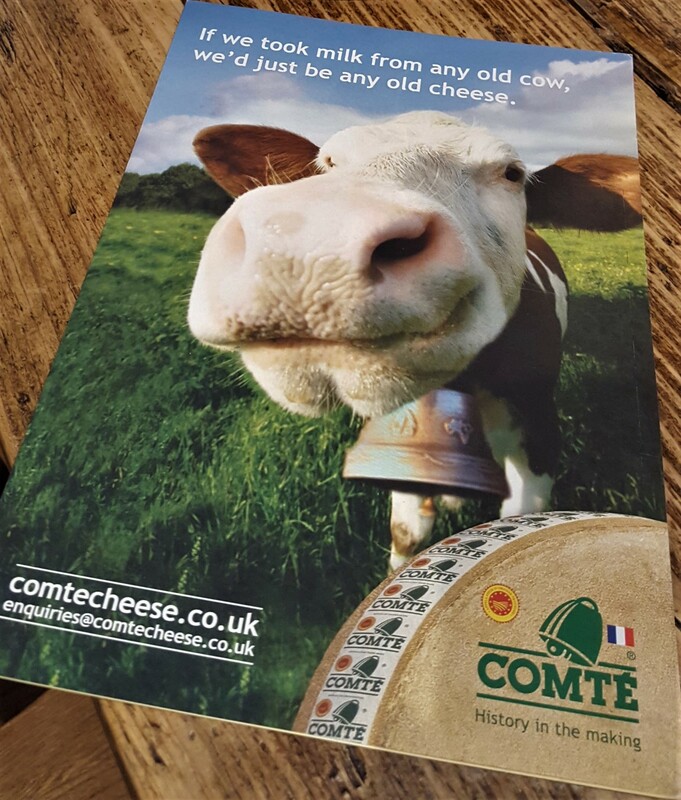 Like fine wine, the flavours and texture of Comté also mature over time. In its youth, it’s elasticky, pale, gives off a fruity, lactic odour and is chewy. As it reaches adulthood, the cheese is crumbly, deeper in colour, smells nutty and has partially crystallised due to the breakdown of amino acids. These differences can be exploited in the kitchen. 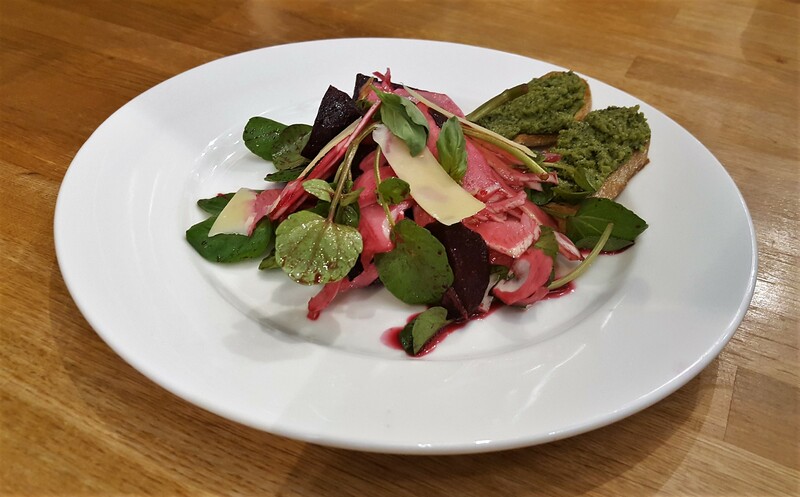 Our starter of watercress, beetroot and fennel was accompanied by pesto-topped crostinis, with 18-month-old Comté and walnuts replacing Parmesan and pine nuts respectively. After Chef Millie Simpson’s demo, I paired up with Danny aka Food Urchin, who bravely volunteered to finely slice the fennel with a mandolin while I whizzed up the pesto. Leaving out the basil stalks as they tend to taste metallic, this herby, cheesy and garlicky paste was so delicious that I’d seriously consider spreading it over a celery stick in a bid to train myself to stomach this offensive vegetable (raw celery is my Food Hell and I WILL win this lifelong Woman vs Food war). 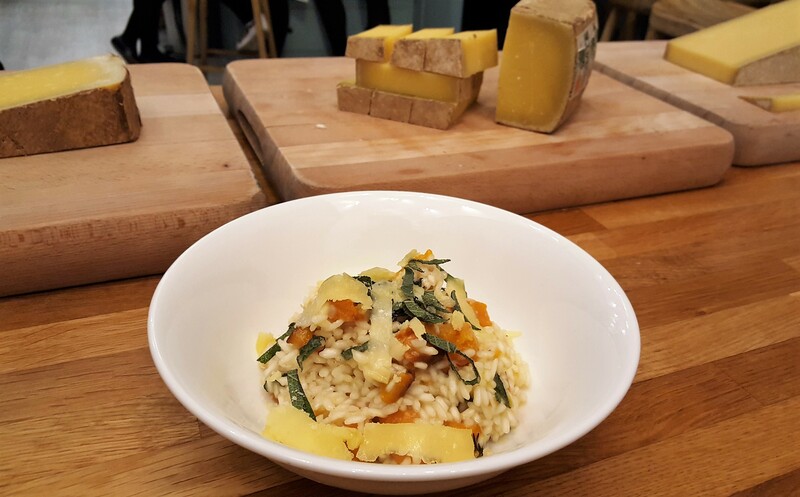 The second savoury serving was butternut squash risotto using fresh stock, making it easier to adjust the acidity, salt and so on. 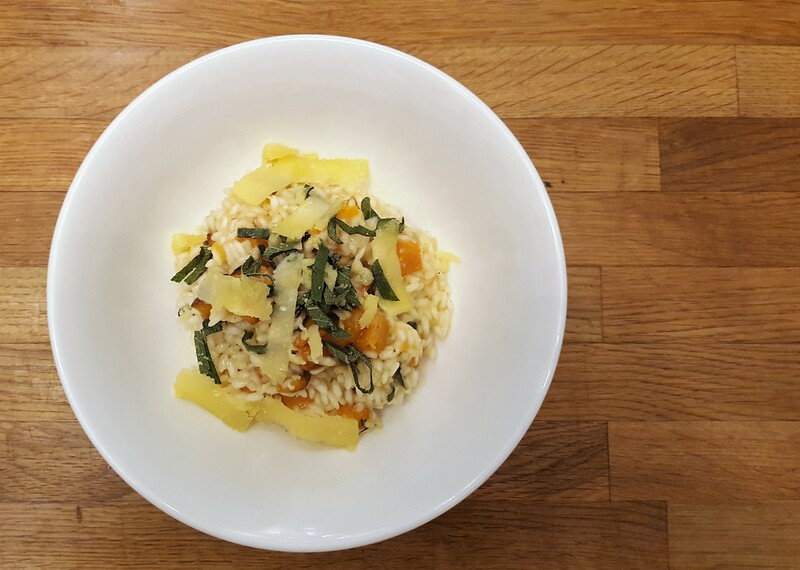 Grated Comté was stirred through the rice, all fluffy and drunk on white wine and stock. It was all going so well until my hypersensitivity to onions kicked in. Note to self: if wearing mascara when cooking, make sure it’s waterproof to avoid looking like a poor imitation of a mime artist. 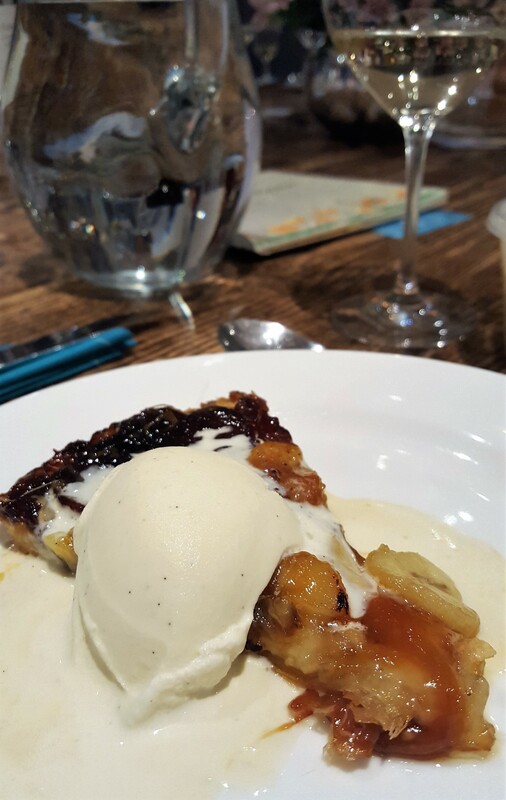 Having deliberately taken a smaller portion of risotto (a food strategy is vital in these situations) allowed me to be primed and ready for dessert: Comté, banana and vanilla tarte tatin. Incorporated into the puff pastry, the cheese was so delicate that it took us all a while to detect it, its subtlety slightly masked by the main ingredients. It’s always the quiet ones that surprise you in the end. 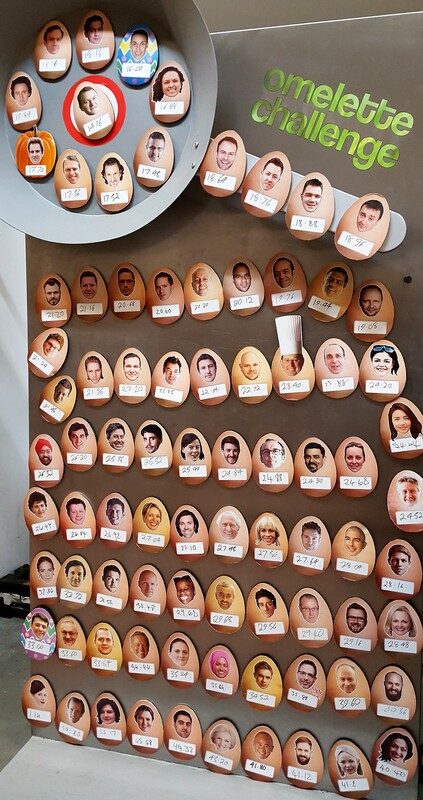 By the time I hopped on the Tube home, I’d added a few new, easy-to-make seasonal recipes to my repertoire, met fellow food lovers Danny, Niamh, Marie, Sophie and Flick in person (as well as catching up with Connie, Jess and Megan) and seen the Omelette Challenge board; it was all worth trekking to South London for. 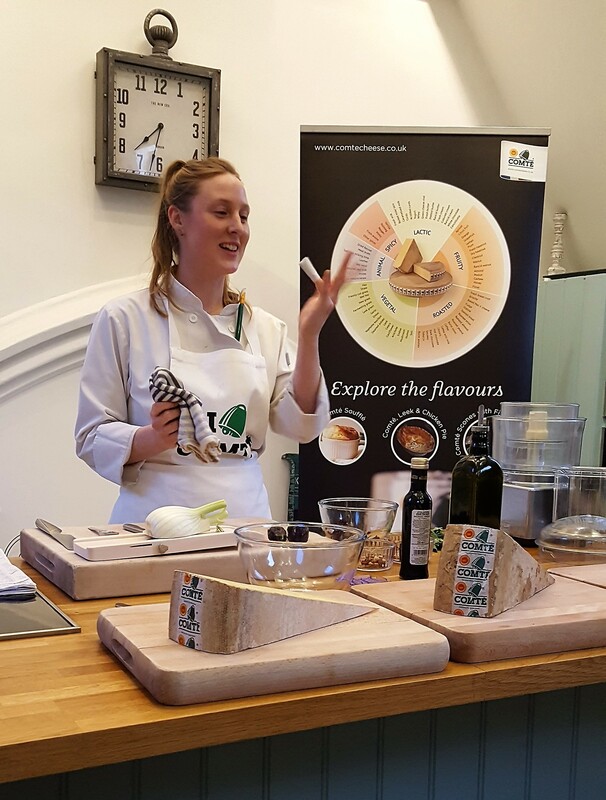 If you’d like more ideas for how to make seasonal cooking better with Comté, Chef Laura Pope’s recipes can be found on the official website (link below). Wine pairings for each course (courtesy of The Vintner): Grüner Veltliner, Rieden Selection, Stadt Krems; Tierra Alta Sauvignon, Chile; Petit Védrines, Château Doisy Védrines, Sauternes, Bordeaux. Disclaimer: I was invited to participate in the Comté cookery class, but all imagery and views are my own and remain the property of www.savlafaire.com. This just made my belly rumble so loudly!! Yummy!